This advertising feature is brought to you by Zero Waste Scotland. Find out more. Zero Waste Scotland is inviting restaurants and cafés to take advantage of the free support available to reduce the amount of good food going to waste in Scotland. It's estimated that one in every six meals prepared by the hospitality industry is thrown away, and these are meals which have been carefully sourced, prepared and served by catering staff across Scotland. Overall, this waste costs the industry over £200 million each year, which means that the hospitality sector has significant potential to cut back on costs. 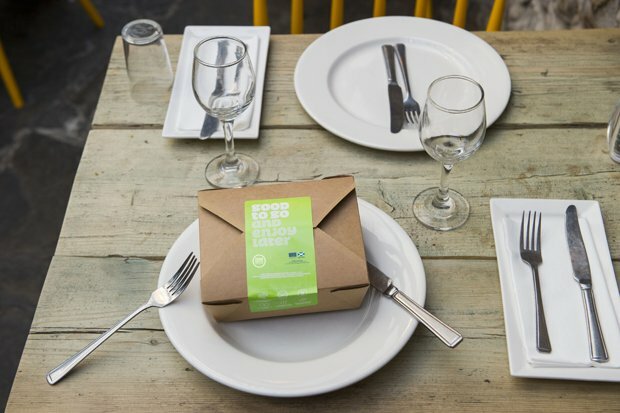 Businesses can engage customers on this important and impactful issue through the Good to Go doggy bag scheme, which aims to tackle plate waste. By normalising the idea of taking leftovers home, Good to Go hopes to remove any embarrassment that customers may feel when asking for a doggy bag. Zero Waste Scotland currently offer free Good to Go starter packs on a first come, first served basis to SMEs. Participants will receive 300 food boxes, labels detailing food safety guidance, paper bags and marketing materials. To find out more, visit zerowastescotland.org.uk/food-waste/good-to-go or email goodtogo@zerowastescotland.org.uk.